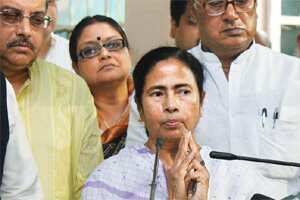 Soon after the oil marketing companies raised the price of petrol, most of the parliamentarians belonging to the Trinamool Congress (TMC) told their chief Mamata Banerjee to withdraw support from the ruling coalition at the Centre. The TMC can afford sabre-rattling, but little else: its government in West Bengal needs the Centre’s money to survive. From the salaries of state government employees to coal for power plants in West Bengal, it is on one huge credit (read life) line from the Union government. A little tug will ensure better behaviour from the TMC.